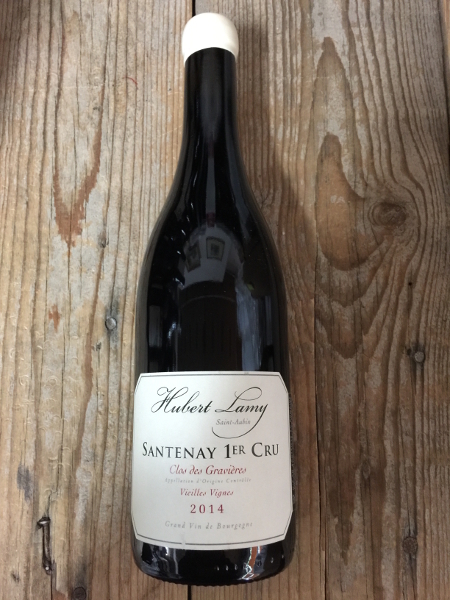 Domaine Hubert Lamy was founded in 1973 but the family lineage shows ancestors making wines in Burgundy since 1640. Starting with eight hectares, much of the vineyard acquisitions that grew the domaine occurred during the 1990s. After working at Henri Jayer and Méo Camuzet Hubert’s son Olivier joining his side in 1995 and has been the key to important changes leading the domaine’s elevation in status. In 1997 the domaine stopped selling grapes to negociants, preferring to sell off parcels in less interesting vineyards and regaining access to vines that were previously under contract, refocusing on only the best sites and oldest vines. They also claim to be the first domaine in the Côte de Beaune to invest in a sorting table at that time, introducing stricter quality control programs commonly found in the Côte de Nuits. Currently the domaine farms 18.5 hectares of vines with 80% being Chardonnay and 20% Pinot Noir. Twice during that growth their vat house had to be expanded, once in 1981 and again in 2003. They now work across three levels with the destemmer, sorting table, and vinification on the top floor, bottling line on the middle floor, and barrels underground on the bottom floor. They also produce a ‘Clos des Gravières’ Rouge from 45-year-old vines that covers 0.28 hectares in the same walled vineyard. Olivier utilized 20% whole cluster fermentation and 20% new barrels for aging in the 2014 vintage.